The Parliament of Morocco is the bicameral legislature located in Rabat, the capital of Morocco. 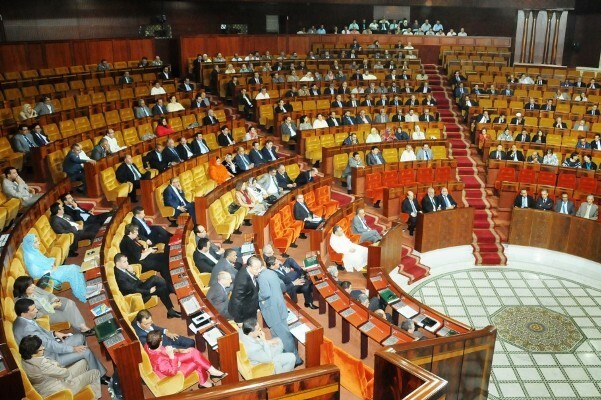 Morocco’s parliament, at this moment, is deciding the nation’s Decentralisation Charter. Since its working draft is not currently made public, we can only hope that every parliamentarian realises that the human development course of the nation and the relationships between public, civil and private institutions depend upon the creation of a meaningful charter. Its conception and implementation will also determine the extent to which Morocco can inspire its neighbours towards a hopeful, modern and yet historic approach to empowering people to achieve their best life’s course. With the benefit of hindsight, one may fairly consider that in 2008, Morocco’s public commitment to decentralise decision-making, especially with regards to people’s development, was a forward-thinking and strategic position to take. The declaration of King Mohammed VI that Morocco would commence the restructuring of public administrations, was the culmination of a series of other actions and preceded several others. These served to demonstrate a consistency of participatory principles that guide and accelerate sustainable development. Considering that the decentralisation of management is best achieved in contexts that also promote the participation of communities in project planning, Morocco had already incorporated this concept in its National Initiative for Human Development in 2005. The building of decentralisation is also enabled by an active civil society and the full inclusion of women in all aspects of social development, the frameworks of which were expanded upon in laws that were brought into operation in 2002 and 2004 respectively. Morocco then in 2010 reaffirmed these statutes in its Municipal Charter, delegating responsibilities to locally elected leaders, to facilitate people-centered development utilising the participatory method. Furthermore, and once again with hindsight, one could conclude that Morocco’s experience in the Arab Spring was made more calm and united, as a result of the intentions of these formative guiding pillars of social evolution, in combination with its new Constitution, which had been ratified in 2011. With all this said however, we find ourselves at this moment in 2018, with different national conditions, expectations and even urgencies. Rural poverty remains painfully entrenched in many areas of the Moroccan countryside. Girls’ participation in education drops precipitously from primary to secondary, while clean drinking water remains a key driver of illness and a stunting factor in girls’ attendance at school. Despite some fine examples of cooperatives gaining traction and bringing increased opportunities for its members, the vast majority of them remain ineffectual and without the means to deliver their products beyond most local markets. Adding a dimension that is extremely hard to bear is the people’s awareness that all of these harsh difficulties are essentially avoidable; opportunities and solutions to their problems are known and viable. Nevertheless, these remain unachieved year after year, decade after decade. Decentralisation is fundamentally the idea that people who experience the everyday challenges of life in their communities are in the best positions to design and manage the initiatives that directly address their needs and bring them the benefits that they seek. Inherent also in decentralisation is an understanding of the opposite: in centrally-controlled societies, localities distant from decision-making capitals will hardly ever obtain sustainability. This is because central planners will most likely fail to select the contextually appropriate actions which promote the varied interests of the people. As the members of Morocco’s parliament work toward ratification of the Decentralisation Charter, they would be diligent to embrace the synergistic elements of the King of Morocco’s aforementioned principles from 2008. They should closely consider the lessons from other nations that embarked on this worthy and humanistic manner of organising society. They would strategically embody the monarchy’s unique position and vitally needed contribution toward overcoming fundamental challenges to decentralise. Finally, they should remember that their actions will serve as a guide for other countries on the African continent and the Middle East. Firstly, Morocco’s initial integration of three pathways to decentralise–devolution, deconcentration and delegation–essentially harnesses the national government’s capacities and sub-national cross-sectoral partnerships to achieve the projects that local communities decide. Not only does this incorporate the key tenet for sustainable development, which is people’s participation, but it acknowledges what people have identified to be most important for themselves. The result is the generation of goodwill between social groups and sectors, solidarity and diversity. Secondly, Morocco’s decentralisation has been referred to as “regionalisation”, meaning that its emphasis is on the devolution of power to its twelve regions. Nevertheless, regional public administrative centres in Morocco remain too distant from the dispersed communities of their jurisdictions. This causes considerable delays of basic authorisations needed to carry development initiatives forward. Even provincialisation, which is the breakdown of regions into their provinces, resembles an unnecessary limitation on reasonable actions for sustainable change and growth. Instead, Morocco should opt for “communalisation”, which targets municipalities as the primary drivers of development, with the understanding that recentralising to the provincial or regional level remains an open possibility, should administrative difficulties arise. Understandably, Morocco is hesitant to diffuse authority related to development to the municipal tier. After all, social stratifications between classes, genders, economic and political groups are as real and formidable at this level as they are on national and global scales. However, the conditions to avoid entrenching existing power structures could be achieved, with the satisfactory implementation of the National Initiative for Human Development, in complete conjunction with the Municipal Charter. This would require the creation of participatory plans and their fulfilment, to be driven by communities. This moment of reckoning pivots on this issue more than any other. If the municipal level first experienced sustainable development through the participatory method, then empowering tiers above those that are closest to the people, i.e. the regional and provincial, will most likely prove unsatisfactory, rife with the pathological remnants and processes of centralisation. Third, there is a critical lesson that public administrators and observers alike have learned in the ten ensuing years from when Morocco first announced its intention to decentralise, until today, when its final charter is being debated. It is exceedingly difficult to imagine that Morocco’s thoroughly centralised government system can decentralise itself without a third party facilitator to forge the productive linkages between the administrative tiers and sectors of society. The necessary arbitrator should also have discretionary ability to influence the access and allocation of financial resources in order to achieve municipal and regional balance of development opportunities. To be realistic, if Moroccan decentralisation will know its full measure, either one or both of the following may need to transpire: His Majesty the King will perform this arbitrating role, or a Ministry of Decentralisation operating on all tiers will need to be established.The challenge is too vast and the implications are too existential for anything less than major engagement. Morocco is an early champion of decentralisation and its thoughtful and progressive road map that it established for itself at the outset, ten years ago, remains vital to implement. Nevertheless, the questions remain: will it transfer power to people in a way that they can actually interact with and gain access to? Will the nation create a participatory environment to enable the benefits of decentralisation to form productive, mutually affirming relationships? Will the country just pass yet another charter, an inspiring programme or policy, or will it actually complete its journey into the real and daily experiences of the people? Yossef Ben-Meir is a sociologist and is also President of the High Atlas Foundation, based in Marrakech.